April 2016 - For 40 years Contemporary Controls has been committed to making the best quality products at an accessible price for our customers. When people visit Contemporary Controls, they are often surprised to see that we actually manufacture what we design. We have been doing this for much of our 40 years in existence. This month we have taken another step with which we believe further proves our commitment and investment to our customers. 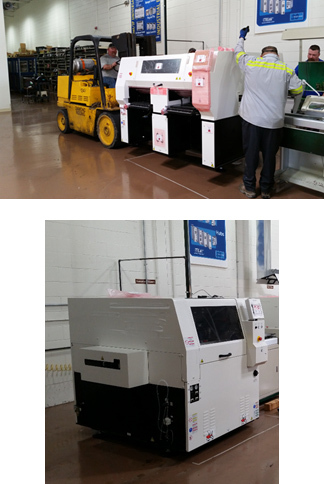 Contemporary Controls is proud to announce the arrival of two new surface-mount technology manufacturing machines, a Panasonic AM100 placement machine and Panasonic SPP screen printing machine, at our Downers Grove, IL Headquarters. Whats Up with the Internet of Things?